Thanks Raudra Inc. esp to Mam Radhika for sharing your knowledge and experiences during our ISTQB CTFL 3 days Training and also for preparing us to the upcoming certification exam. Keep it up!. Enrolling in Raudra IT for me is highly recommended.. I didn't take any trainings here in Raudra. So I'm just going to comment with my experience with them. The staff are nice and helpful. They let me pay the exam fee on the day of the exam. Also, they went the extra mile just to deliver the receipt to my house. Cheers Raudra. Till my next certification. Enrolling in Raudra IT for me is highly recommended..
EVERYONE passed the ISTQB-CTFL certification after our training in Cebu on May 28, 2018! 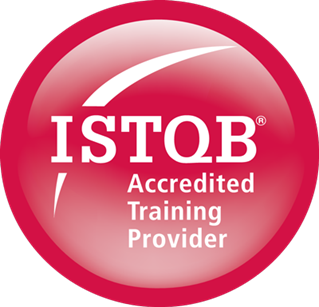 Studying ISTQB-CTFL by myself and with workmates before the training already gave me a lot of ideas to improve as a tester, but I was inspired by our trainer who really had a lot of real world knowledge to share as someone with a lot of experience in the field. Working hard is one thing; having a proper plan and strategy to get noticed is another. Really happy to have gotten guidance on the latter. A good part of my notes during the training were, apart from study material, quotes from our trainer. Enrolling in Raudra IT for me is highly recommended..
TTraining here in Raudra IT is very comprehensive. I really learn a lot more when it comes to testing. Instructors are very professional, personal and relatable to every student to the point that you can ask them insights on a working environment in IT and even proof read your resume. Enrolling in Raudra IT for me is highly recommended.. The instructor is very friendy and professional. Thank you so much, It's really a big help for me and I learned alot from this training that i can use in my current and future career. The bonus is I am now certified!. learned a lot. fantastic training materials. fantastic trainor. One of the BEST training center plus a VERY EXCEPTIONAL instructor. Great place to be trained and get certified! Thanks!. Nice Job oriented training program, i had great class sessions here. Great place to be trained as an OJT. Maraming kaalaman na malalaman at matuto ka talaga..